My son is one of Atlanta Braves star Jason Heyward’s biggest fans. When he played youth league baseball, he wore the number 22, batted left-handed and played right field. Of course, Heyward plays right field because he’s got speed and a rocket arm. My son played right field because that was the place he was least likely to get hit in the head while ignoring the game and watching airplanes fly by in Columbus, Ga. 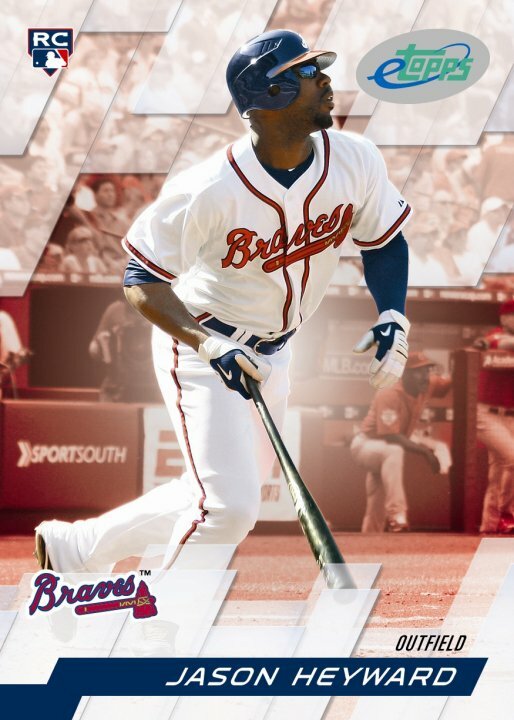 When I found out the 2012 Millard Fuller Legacy Build was coming to Henry County, Ga., just south of Atlanta, I knew that Jason Heyward was from Henry County, so naturally we will try to get him and the Braves to throw a little support our way as we converge on the county in September to work mostly in the community of Blacksville, which is a mixture of dilapidated homes and decent homes around Henry County Middle School. And if “J-Hey” (who is one of just two players in Major League history to homer in his first career at bat and again in his first at bat the next Opening Day) can lend us a little support, perhaps we can even get Hammerin’ Hank Aaron, my all-time favorite sports hero, to do the same. I never had the joy of meeting The Hammer during my sportswriting career, so maybe my nonprofit career will get me there. And who better to give us some love in metro Atlanta than someone nicknamed The Hammer? I visited Henry County on Friday to have lunch with Henry County Fuller Center President Shane Persaud, tour the community and attend a planning meeting for the 2012 Legacy Build. All I knew about Henry County before then was that it was some place I blew through it a million times on I-75 on my way to Atlanta, and it was Heyward’s home. But just like any place you take the time to get to know a little better, there’s much more to McDonough and Henry County. We’ll be working mainly in a place called Blacksville, which Wikipedia will tell you was named for the ethnicity of most of its residents. That’s another reason why you can’t believe EVERYTHING you read on Wikipedia or elsewhere on the internet. It was named after a man whose last name was Black. We will explore the origins of the name in due time. Speaking of Blacksville, its official population is 4. Yes, you read that correctly, 4. Blacksville is an official CDP (Census-designated place), but only one family in the community told the latest Census that they lived there. All their neighbors said they lived in McDonough, which is true. The county was named for Revolutionary patriot Patrick Henry of “give me liberty or give me death” fame. And the place where I met Shane for lunch, Chevy’s Diner & Pub, was voted best burger in and around Atlanta in a poll of Access Atlanta readers. And, oh by the way, it’s all very close to Hartsfield-Jackson Atlanta International Airport, which is the busiest airport in the whole Milky Way galaxy. There’s a lot more to learn about Henry County, Blacksville, our soon-to-be Legacy Build homeowner partners and the build’s volunteers, leaders and supporters. All in due time. But I can tell you that after spending a little time with the local folks there on Friday, I’ve no doubt that this year’s Legacy Build will be a home run. Click here to view some photos from Friday’s trip to Henry County.